A report on Yahoo today notes that the company has been ordered to pay $2.7bn in a contract dispute by the 49th Civil Court of Mexico City. The non-final judgement was made in favor of Worldwide Directories, a holding company of Ideas Interactivas, against Yahoo in Mexico with regards to yellow pages listings. Yahoo! believes the plaintiffs’ claims are without merit and will vigorously pursue all appeals. The plaintiffs alleged claims of breach of contract, breach of promise, and lost profits arising from contracts related to a yellow pages listings service. The Yahoo filing with the SEC is located here. Worldwide Directories is the Mexican Holding company of Ideas Interactivas, the publisher of Yahoo! Páginas Útiles. Yahoo! Páginas Útiles is a printed and online phone book for Mexico with business listings, similar to the yellow pages. That publication was fired up back in 2003 as a partnership with Ideas Interactivas and would include details such as updated lists of every company located in the Federal District, as well as city maps and guide marks. One Carlos Bazan-Canabal, claims on a profile page that he was employed by Yahoo in Mexico in 1999 and 2001. His LinkedIn profile notes that he is currently a General Manager and Partner at Alternativo Networks, which has a relationship to Worldwide Directories, the holding company of Ideas Interactivas. As to what went wrong in the deal, who knows? The paper was said to have a circulation of around 800k in 2003, and was projected to have a second run that rose to 1.7M units. But it’s been over 9 years since that deal was struck and who knows what’s happened since then. If the circulation increased significantly, and Ideas Interactivas can prove that a contract was breached, then there might be some real money at stake here. Whether it’s $2.7B worth, well that seems unlikely to us, but it’s certainly made some headlines. Given its earnings last quarter and that its revenue for the quarter was significantly less than this single judgement, it seems like an enormously high number to us. We’ve reached out to Yahoo for more information on the matter. At this point, Yahoo has yet to answer our inquiries and, from what I understand talking with others, has maintained complete radio silence since news broke earlier today. Whatever’s going on, they aren’t saying yet. Yahoo’s last high-profile suit was in April of this year, when Facebook claimed 10 social media patents against the company. That was a countersuit to the one that Yahoo filed against Facebook over their own 10 social media patents in March. 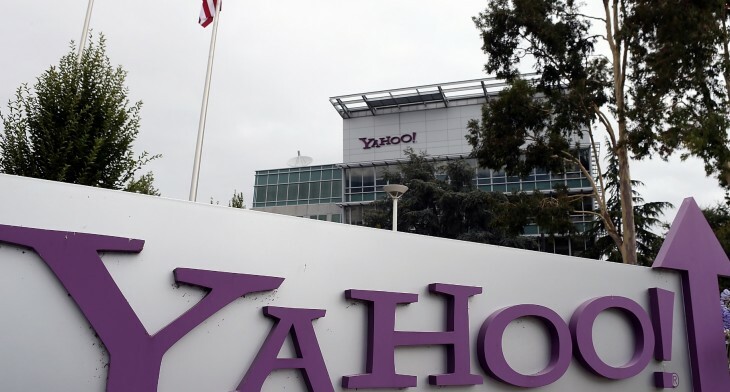 Yahoo recently beat expectations in Q3 with revenues of $1.09B and earnings per share of $0.35.